You can now see which of your company values are being appreciated, and by whom! When you Hi5 a co-worker, you can tag the company values that apply to that particular Hi5. Viewing Hi5's Received by Culture is a great way to see how your co-workers are living your company's values in their day-to-day. Go to My Company and click on Reports. Under Hi5's Received by Culture, you will see your company's Hi5's broken down by company value. The total number of tagged Hi5's that each employee has received is displayed on the right-hand side of the screen. Click on Value Leaderboard to view your employees ranked by the number of tagged Hi5's they have received. It will be ordered by the most tagged Hi5's received to the fewest. 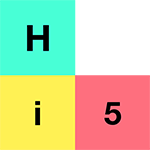 To return an overall view of Hi5's given by value, simply click on Overall Total. Haven't added your company values yet? Check out this article to get started.